NO FEE! This SUN SPLASHED XL 1 Bedroom, 1 Bathroom apartment just hit the market for an August 1st move in date! 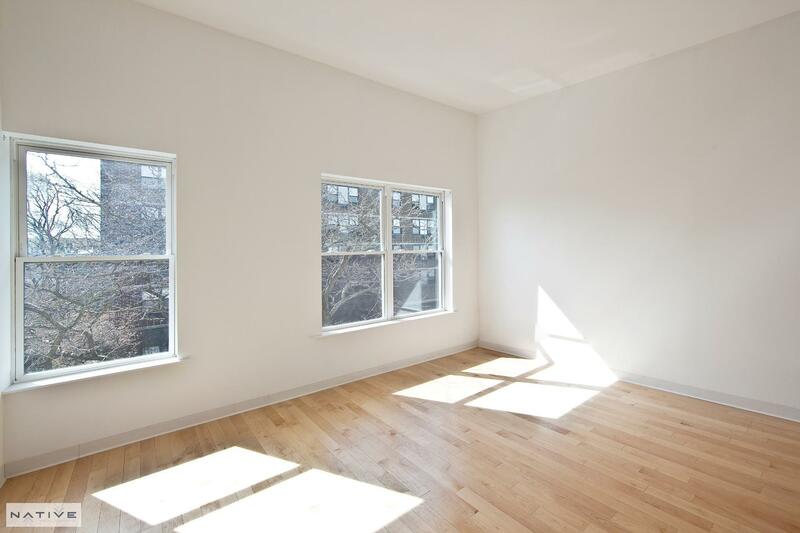 Featuring 12' ceilings and huge windows this apartment gets awesome natural light. The living room is very spacious with plenty of space for a dedicated dining area or home office. The kitchen has a DISHWASHER. Enjoy ample storage space with a deep WIC as well as closets in the bedroom. The bedroom accommodates a queen size bed plus furniture. The bathroom has a shower/tub combo. Central Heat and Central A/C throughout. Enjoy the convenience of LAUNDRY in the building, as well as, a gorgeously landscaped common BACKYARD with Garden is ideal for summer BBQ's and entertaining. Great location just 2 blocks to the subway. Call, Text or Email to schedule a showing! Not exactly what you are looking for? Email me your criteria and I will let you know what else I have available.